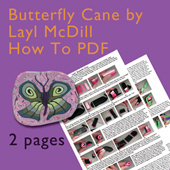 2 page instructions with lots of pictures to teach you this unique fun and easy butterfly polymer clay cane.  This PDF will be emailed to you within 48 hours after your order comes through. I teach this cane in all my basic classes and everyone gasps out loud when it comes together and reveals a butterfly! I only regret that I won't be there for that gasp when you make your cane with my pdf instructions but you will find that my hand out is very detailed and easy to follow. If you do need me I'm as close as an e-mail to answer any questions.